We are delighted to launch a new publication to accompany touring exhibition North South Divine, 2013 at WW Gallery, London Wednesday 3rd April – Saturday 11th May 2013 and Platform A Gallery, Middlesbrough 17th May – 20th June 2013. An introductory text by Kate Brindley, Director, mima (http://www.visitmima.com/) contextualises the exhibition and the works of Alison Wilding, Kate Davis, Phil Illingworth, Annie O'Donnell, Deb Covell, Tony Charles, Boa Swindler and Chiara Williams. We are delighted to launch a new publication to mark the anniversary of Phil Illingworth's solo exhibition FRIGHTENING ALBERT, at WW Gallery, London Wednesday 11th April – Saturday 12th May 2012. A year on from Frightening Albert, Carey-Kent's excellent essay 'Fun with All the Family' puts Illingworth's practice into focus and coincides with the unveiling of three new works by Illingworth in WW's May - June 2013 exhibition North South Divine. Jonathan Gabb was the recipient of the 2012 SOLO Award, which comprised £1000, a 3-month residency and a solo exhibition at WW Contemporary Art in January 2013. This publication presents a catalogue of the new works created, installation images of his solo show 'SYSTEM' and three specially commissioned texts by Helen Sumpter (senior editor, Art Review), Deb Covell (artist and co-founder, Platform A Gallery, M'brough) and Francesca Brooks (freelance writer), plus a foreword by Debra Wilson & Chiara Williams (directors, WW). Catalogue of the GROUP 2012 exhibition at WW Gallery, London, 1 - 25 August 2012, featuring the 37 artists long-listed for the inaugural WW SOLO Award. Exhibition catalogue 'All the Dead Dears' 14 November - 15 December 2012 WW Gallery, London. An exhibition of drawing, painting, sculpture and print by Ross Chisholm, Sarah Gillham, Mindy Lee, Emma Talbot & Sarah Woodfine. Exhibition curated by Mindy Lee and Sarah Gilham. Text by Jack Stokoe. Catalogue by Mindy Lee. Published by WW Gallery, London on the occasion of 'The MacGuffin', an exhibition of paintings by Wendy Elia and Marguerite Horner, 1st – 17th July 2011, curated by Debra Wilson & Chiara Williams. Texts by Anna McNay, Marie-Anne Mancio Mary Rose Beaumont, Chiara Williams and Debra Wilson. 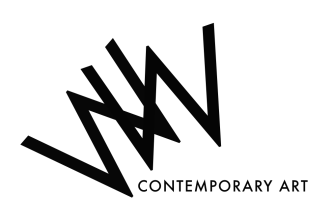 WW Gallery at the 54th Venice Biennale 30 May – 12 June 2011 The Quaffers Pavilion, Campo San Polo, Venice, Italy. Texts by Cherry Smyth, Helen Sumpter, Chiara Williams and Debra Wilson. Published by WW Gallery, London on the occasion of the residency and exhibition CAVE, 3 Jan - 6 March 2011. Texts by Marius Grainger, Jessica Herrington, Chiara Williams and Debra Wilson.